Singapore was also named the favourite last year, with a top 10 line-up not too dissimilar from 2018. One reviewer issued the airline with a near-perfect review of its economy seats on one of its A380s. "I used Singapore Airlines three times on a recent trip to New Zealand and back, and was so impressed, especially with the consistency of standards. I had plenty of legroom, the food was excellent and the crew so friendly and helpful. Every interaction I had was greeted with a warm and genuine smile. Nothing was too much bother, and often my needs were anticipated before I could make a request. If I made the trip again, I would definitely use Singapore Airlines." Qatar Airways replaced Air New Zealand in the second spot this year. 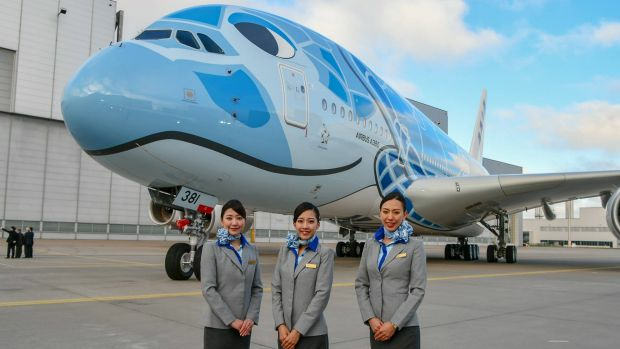 A reviewer commented how impressed they were honouring requests from frequent flyer cardholders to sit on the upper deck of the A380. "Even though I travelled economy class, I still got a pre-flight drink. Now that is service!" 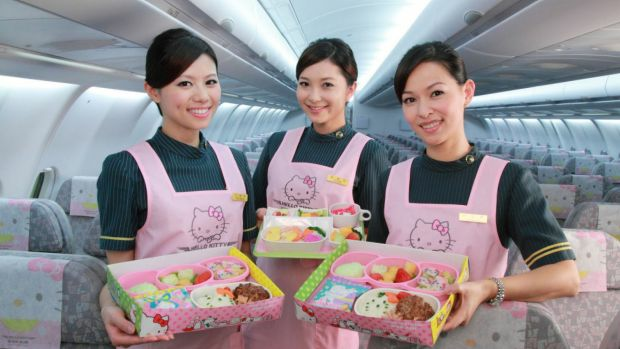 EVA Air rose up a notch to third position, with a contributor raving about receiving "real cutlery and a menu" for food service in economy, while also sitting in seats that recline further than other airlines at a great price point. EVA is a Taiwanese airline that code-shares with Air New Zealand and is known for its Hello Kitty livery on a number of its Boeing planes. Elsewhere, Japanese airlines JAL and ANA were commended on their food and service, and Brazilian airline Azul and Emirates received kudos for their first-class service in economy. While Air New Zealand dropped six places to No. 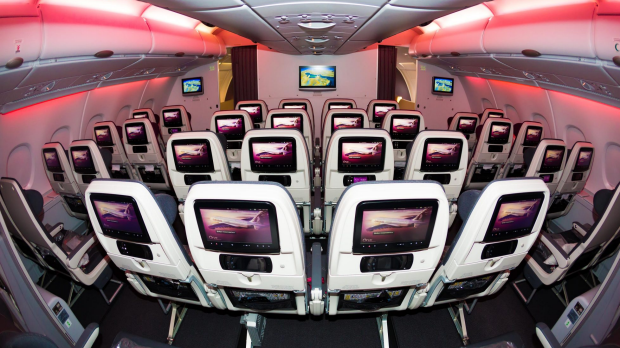 8 in the rankings, its premium economy seats were praised for comfortable seats and great food. US darlings Southwest Airlines stayed in the No. 6 position, a favourite for allowing passengers two checked-in bags included in the ticket price – a very rare thing in the US, and British budget airline Jet2.com was mentioned for its efficiency and generous amount of legroom. Bryan Saltzburg, president of TripAdvisor Flights said, "The airline industry continues to focus on improving the overall flying experience, and these award-winning carriers are at the forefront. Airlines worldwide recognise this Travellers' Choice award as a huge testament to consumer recognition."